Electronic Arts Inc. (NASDAQ: EA) announced that EA SPORTS™ FIFA 16, winner of the E3 2015 Game Critics Best Sports Game award, is now available in retail stores and as a digital download in South Africa. 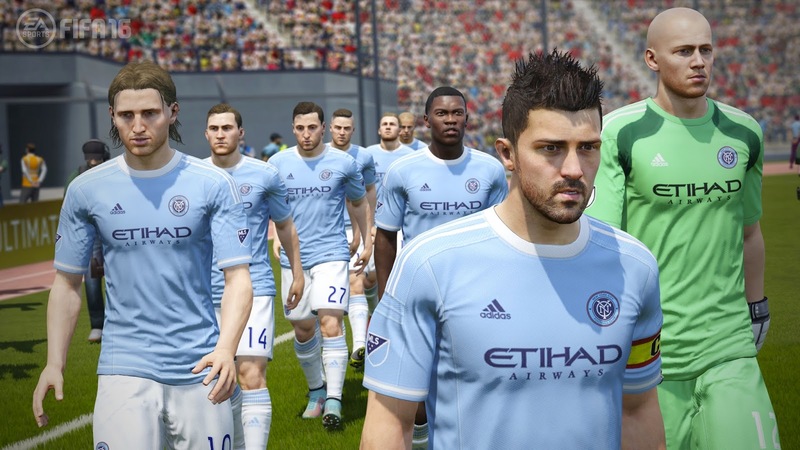 FIFA 16 has been described by Digital Spy (UK) as, “an impressive beast of a game that's stuffed with official leagues and licenses, game modes and other little touches that add flavor to the match day experience,” and hailed by EGM (USA) as, “an unparalleled soccer simulation that improves upon FIFA 15 in every aspect.” With gameplay innovation across the entire pitch and brand new ways to play, FIFA 16 lets fans Play Beautiful. A record 6.4 million fans have downloaded the FIFA 16 demo in the ten days since it became available. Fans playing the full version of FIFA 16 through the Play First Trials on EA Access, only on Xbox One the all-in-one games and entertainment system from Microsoft, were excited to try the newly added Women’s National Teams, with the United States Women’s National Team ranking in the top ten most selected clubs or national teams. FIFA Ultimate Team™ Draft, a brand new way to play the franchise’s most popular mode, has also been a fan favorite, with more than 13 million matches played throughout the demo and EA Access combined. FIFA 16 delivers a balanced, authentic, and exciting football experience that lets fans play their way, and compete at a higher level. With innovative gameplay features, FIFA 16 brings Confidence in Defending, Control in the Midfield, and gives players the tools to create more Moments of Magic than ever before. FIFA Ultimate Team, the game’s most popular mode, introduces FIFA Ultimate Team Draft, a brand new way for fans to test their team building skills and compete with some of the best football players in the world. And this season, Career Mode adds two features most requested by fans: Pre-season Tournaments and Player Training that ensure an even deeper and more authentic career whether fans play as a manager or a pro. 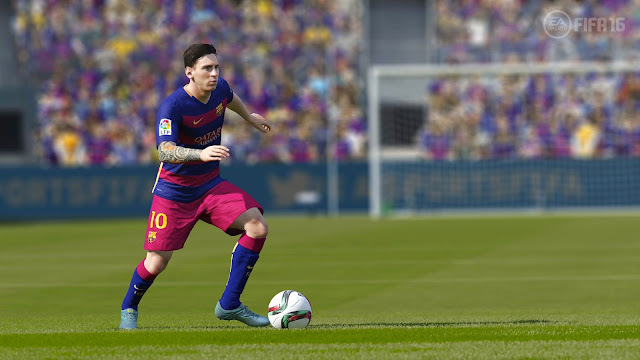 For more information about FIFA 16 features visit www.easports.com/fifa. 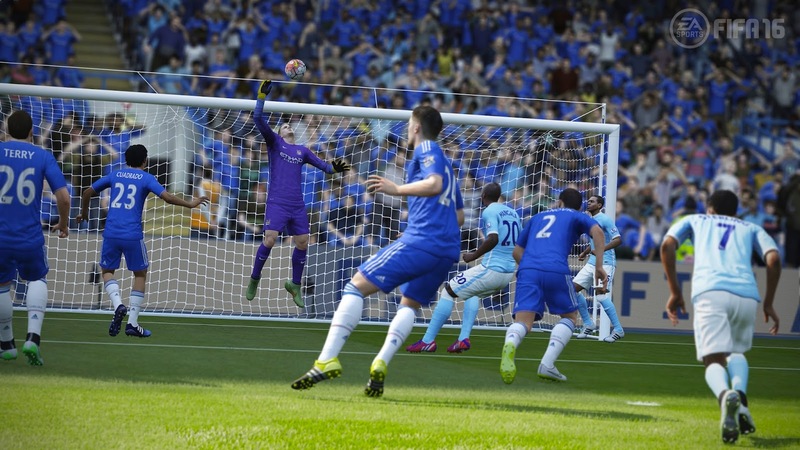 A trailer showcasing the new season of FIFA 16 can be viewed: here. FIFA 16 is developed in Burnaby, British Columbia by EA Canada and is available now on Origin™ for PC, Xbox One, PlayStation®4 computer entertainment system, Xbox 360® games and entertainment system and PlayStation®3 entertainment system. Join the EA SPORTS community at http://www.facebook.com/easportsfifa. Follow us on Twitter @easportsfifa and use the hashtag #FIFA16. The game has been rated PG by the FPB (Film and Publication Board) in South Africa. EA SPORTS is one of the leading sports entertainment brands in the world, with top-selling videogame franchises, award-winning interactive technology, fan programs and cross-platform digital experiences. EA SPORTS creates connected experiences that ignite the emotion of sports through videogames, including Madden NFL football, EA SPORTS™ FIFA, NHL® hockey, NBA LIVE basketball, Rory McIlroy PGA TOUR® golf, SSX™ and EA SPORTS UFC®.More information about EA is available at www.ea.com/news. I am playing the same on my PS3 and learning the tricks of the Fifa 16 game. Last time I tried was a real match on the previous version of Fifa13 with my friends. I did maintained to draw a match on Fifa16 yesterday with my team being Manchester United against Arsenal (1-1) and during penalty shoot out scored 4-1 to win the match. I really loved going through the skills practice to start from Bronze to Gold levels. I am still working on to get Gold points in all the skills levels but will soon be there. The delightful and much-loved children’s TV series, Maya the Bee, has been made into a feature film for the big screen. In a South African first, the film – distributed by Black Sheep Films - will be released locally in three of the country’s official languages – in English as Maya the Bee Movie (also in 3D), in Afrikaans as Maya die By Movie and, in isiZulu as uMaya Inyosi iMovie. This 3D computer-animated comedy adventure opened on circuit in the three languages at select Ster-Kinekor cinemas countrywide on Friday, 18 September. It is a significant step that the same film is released with three different language soundtracks, as opposed to the more common sub-titles. 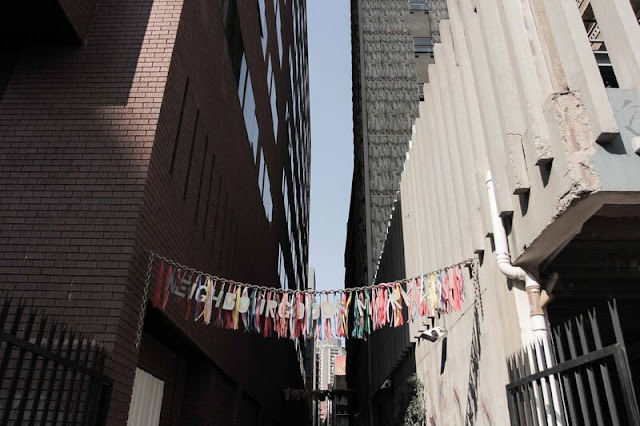 The film has been released just before South Africans celebrate their diverse cultures on National Heritage Day (24 September), making the movie accessible to a wider, multi-lingual audience. Children are encouraged to see the movie in their home language first and then a second time in one of the other languages, as a way to enhance their second language skills. There will be exciting activities for the kids to participate in, at select Ster-Kinekor sites on Heritage Day (24 September). These include various arts and crafts, colouring-in sheets, balloons and some Maya the Bee hampers up for grabs for some lucky prize winners. The participating cinemas are: Cradlestone Mall, Greenstone Mall and Carnival City in and around Johannesburg; The Grove Mall in Pretoria; Watercrest Mall and Musgrave in Durban; and N1 City, Promenade and Blue Route in Cape Town. The entertainment area is sure to be abuzz with activity from 10:30 to 15:00 on Thursday. Maya the Bee Movie is based on the German children's book of the same name by Waldemar Bonsels, written over a century ago in 1912. It is directed byAlexs Stadermann, and features the voices of Coco Jack Gillies (as Maya), Kodi Smit-McPhee, Noah Taylor, Richard Roxburgh, Jacki Weaver and Miriam Margolyes. 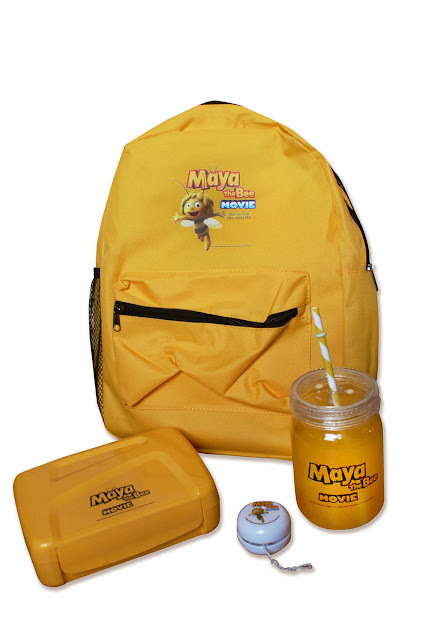 The film is the big-screen adventure that follows Maya, a young bee who leaves the hive and embarks on a new adventure to discover the beauty and mysteries of nature. Freshly-hatched Maya is a little whirlwind of a bee who won't follow the rules of the hive. One of these rules is not to trust the hornets that live beyond the meadow. When the Royal Jelly is stolen, the hornets are suspected and Maya is thought to be their accomplice. No one believes that she is the innocent victim and no one will stand by her, except for her good-natured best friend, Willy. After a long and eventful journey to the hornets’ hive, Maya and Willy soon discover the true culprit and set about bringing him to book. The running time of the film is 1hr 29mins, and it carries no age restriction. In hierdie grootskerm-avontuur is Maya 'n jong by’tjie wat die korf verlaat om die geheime en wonder van die natuur te ontdek. Maar die pas-uitgebroeide Maya is 'n loskop wat nie die korf se reëls wil volg nie. Een van hierdie reëls is om nie die perdebye wat buite die korf woon te vertrou nie. Wanneer die koningin se grootste skat gesteel word, word die perdebye dadelik verdink van die diefstal en almal is oortuig dat Maya 'n medepligtige was. Met die uitsondering van haar beste vriend, Willy, wil niemand haar storie glo nie. Om Maja se onskuld te bewys, moet hulle ware skuldige vind en daarom onderneem hulle 'n gevaarlike reis na die perdebye se blyplek toe. Tygervalley and Somerset Wall in W. Cape; Riversquare in Vereeniging; Rustenburg; and Centurion City, Brooklyn and Kolonnade in Pretoria. Kusuka indaba uma kuntshontswa uketshezi lwamakhekheba asebukhosini (Royal Jelly) kanti kusolwa iminyovu ngalesi senzo abanye baze bacabange ukuthi iminyovu ikwaze ukweba loluketshezi ihlanganyele no Maya. Akekho ke okholwa ukuthi uMaya umsulwa futhi akekho osohlangothini lwakhe ngaphandle kukamngani wakhe omkhulu futhi onomoya omuhle uWilly. UMaya no Willy bathatha uhambo olude belibangise esidlekeni seminyovu, nalapho befuna ukuthola okunguyena owebe ukutshezi lwamakhekheba ezinyosi lwasebukhosini (Royal Jelly) bese beyamdalula ukuze kucace ukuthi ngubani iqili. Newtown Junction in Johannesburg; Sterland in Pretoria: Gateway in Durban; and Parow in Cape Town. 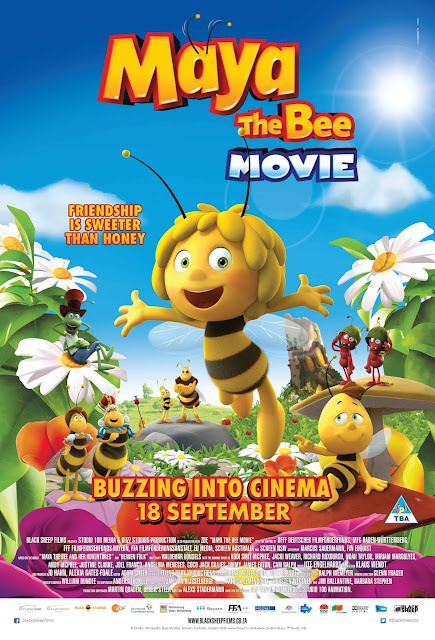 For more information about Maya the Bee Movie and to make bookings, download the Ster-Kinekor App on your smart-phone. To find out what other exciting promotions Ster-Kinekor has on offer, visit www.sterkinekor.com or sterkinekor.mobi, or follow @sterkinekor on Twitter or Facebook at Ster-Kinekor Theatres. For queries, call Ticketline on 0861 MOVIES (668 437) or you can book at the box office. Following an action-packed three months of slots play at all 14 Tsogo Sun casino and entertainment destinations across the country, Montecasino this past weekend saw seven finalists making it through to the grand final of the Tsogo Sun Slots Factor tournament, which takes place at SUNCOAST in Durban this coming weekend. Silindeni Mpala and Annette Lackey are two of the seven lucky finalists who will be participating in the final stage, with Silindeni scooping R20 000. “We look forward to the opportunity to travel and meet other players during the final round,” says Silindeni. “It has been an honour to be a part of Slots Factor and we are privileged to have made it this far,” comments Annette. Montecasino’s seven contestants will be competing against a total of 80 finalists from Tsogo Sun’s 14 casinos for a cash and FreePlay of R3 million. 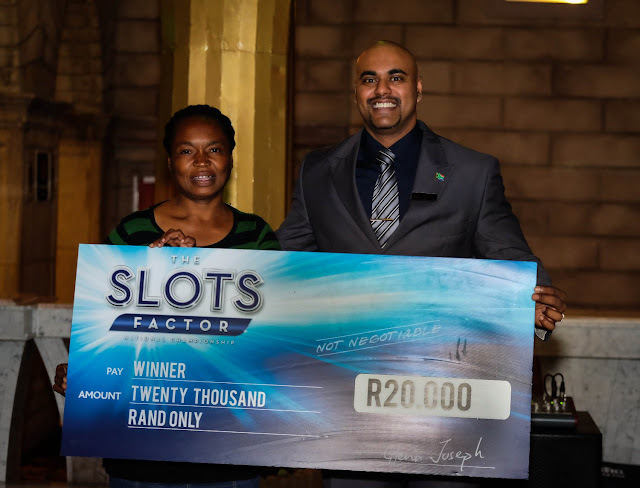 The winner of Slots Factor 2015 will walk away an instant millionaire, with a grand prize of R1.1 million, while the second place winner will be awarded R200 000, with third place winning R100 000, with additional prizes for fourth to tenth place. For more information on the various gaming options offered by Montecasino, go to www.montecasino.co.za, join us on Facebook at www.facebook.com/montecasino or follow us on Twitter at @MontecasinoZA. Microsoft Corp. began the worldwide release of Office 2016. The apps are the latest addition to Office 365, Microsoft’s cloud-based subscription service that helps people do their best work, together. The company also announced new and enhanced Office 365 services built for team productivity. · Co-authoring4 is now provided in Word, PowerPoint and OneNote desktop software, including real-time typing in Word that lets you see others’ edits as they make them. · Skype in-app integration across the rich client apps allows you to IM, screen share, talk or video chat right in your docs. · Office 365 Planner helps teams organize their work, with the ability to create new plans, organize and assign tasks, set due dates, and update status with visual dashboards and email notifications. Planner will be available in preview to Office 365 First Release customers starting next quarter. · Significant new updates to OneDrive for Business are coming later this month, including a new sync client for Windows and Mac, which will deliver selective sync and enhanced reliability. Updates also include increased file size and volume limits per user, a new user interface in the browser, mobile enhancements, and new IT and developer features. · Unveiled GigJam is available in private preview and will become part of Office 365 in 2016. GigJam is an unprecedented new way for teams to accomplish tasks and transform business processes by breaking down the barriers between devices, apps and people. · Outlook 2016 provides the smartest inbox yet, with lightning-fast search and automatic removal of low-priority mail. Everyone on the To: line has the right access to documents with modern, cloud-based attachments. · Tell Me helps you quickly find the right Office feature or command, and Smart Lookup brings insights from the Web right into your documents. · Excel 2016 now includes integrated publishing to Power BI and new modern chart types to help you make the most of your data. · The most recently used documents list allows you to pick up right where you left off, traveling with you across your devices, whether you are working in Office Online, in the Office Mobile apps or in the Office 2016 desktop apps. · Built-in Data Loss Prevention across Word, PowerPoint, Excel and Outlook significantly reduces the risk of leaking sensitive data, giving IT administrators tools to manage content authoring and document sharing policies. · Multifactor authentication ensures secured access to content anywhere when you’re away from the corporate network. · Enterprise Data Protection will be available for the Office Mobile apps for Windows 10 later this year and for the desktop apps early next year, enabling secured content sharing within corporate boundaries. The new Office 2016 apps are available in 40 languages and require Windows 7 or later. Office 365 subscribers can also choose to download the new Office 2016 apps as part of their subscription. Automatic updates will begin rolling out to consumer and small-business subscribers next month, and to commercial customers early next year. 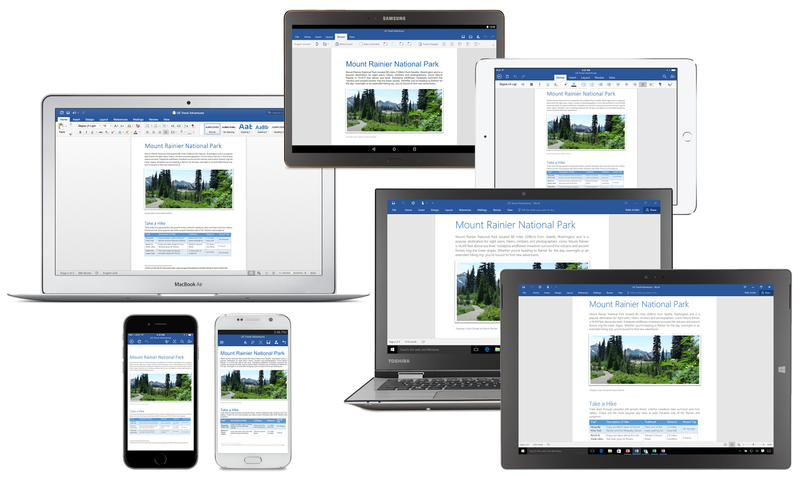 Office 2016 is also available now as a one-time purchase for both PCs and Macs. Looking forward to using the new office products to take office productivity further! Strava allows you to track your runs and rides with GPS, join challenges and see how your running and riding compares to your friends' workouts. “It’s a must have for every cyclist,” says Donde. This is a top-rated fitness tracker and personal training app. With Endomondo, you can track all of your workouts using GPS, check your stats, stay motivated, and reach your fitness goals. Garmin Connect Mobile gives you access to all of your Garmin Connect data – anytime, anywhere. You can even share your activities as they happen and wirelessly upload activities and more. This app makes it a snap to track fitness metrics such as heart rate, cycling speed, cadence, and power data, says Donde. Instagram is a very popular app that lets you capture those great views you see when you’re cycling in the mountains or along the coast, and then share them with your friends and followers. Also it can be used to maintain moments of where you were in a particular week of the year. Our health is in our hands and it's our duty to take care of our body and heart. All the exercise that we do, helps us in some way or other, so set a goal and start achieving the same daily. I am also working on my 10000 steps daily using the Walklogger App on my HTC One M8 device which also have Fitbit app pre-installed. 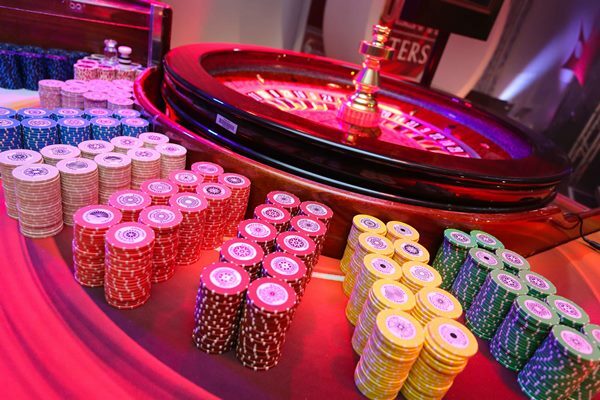 Montecasino is once again playing host to the Tsogo Sun Roulette Knockout tournament, which launched with great success last year at the group’s three Gauteng casinos – Montecasino, Gold Reef City and Silverstar. 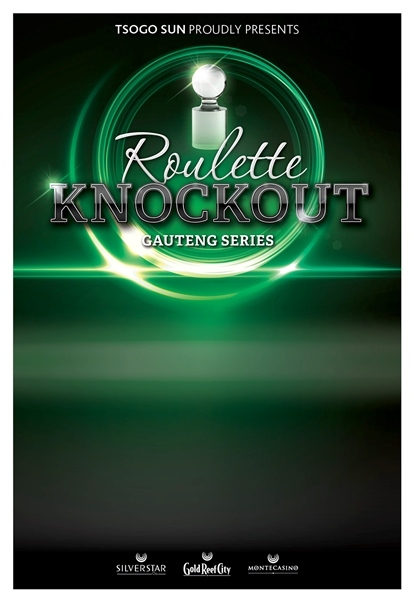 The Roulette Knockout tournament offers a total cash prize of R500 000, with R250 000 for first place, and runs from 7 September through to the semi-finals and the grand final at Silverstar Casino on 24 October. In the Roulette Knockout competition, R10 table limits apply to all heats, with R200 maximum on the number, R100 minimum on outside chances in multiples of R100, R5 000 maximum on even money chances and R2 500 on columns and dozens, and no call bets will be accepted. In the qualifying rounds, a maximum of five players at a time will constitute a heat, with a minimum of one player. Players will be given three spins and must play every spin. The value of the chips of the individual players at the end of the spins will determine whose names go up on the leader board. At the end of the qualifying period, the top 10 players from each property with the highest chip winnings from a single buy-in will qualify for a place in the grand finals – and will win R5 000 for first place, R2 000 for second to seventh places, and R1 000 for eighth to tenth places. These 30 finalists will then play in the semi-finals at Silverstar, with the top seven earners winning a seat in the grand final round, which will consist of seven spins. The top seven scores will be announced when the last heat has been played and the overall winner will be the player with the highest total value of chips at the end of the seven spins. “Knockout tournaments deliver nail-biting entertainment for both players and spectators – and this Roulette Knockout will keep adrenalin levels high through to the very end as the stakes get higher. 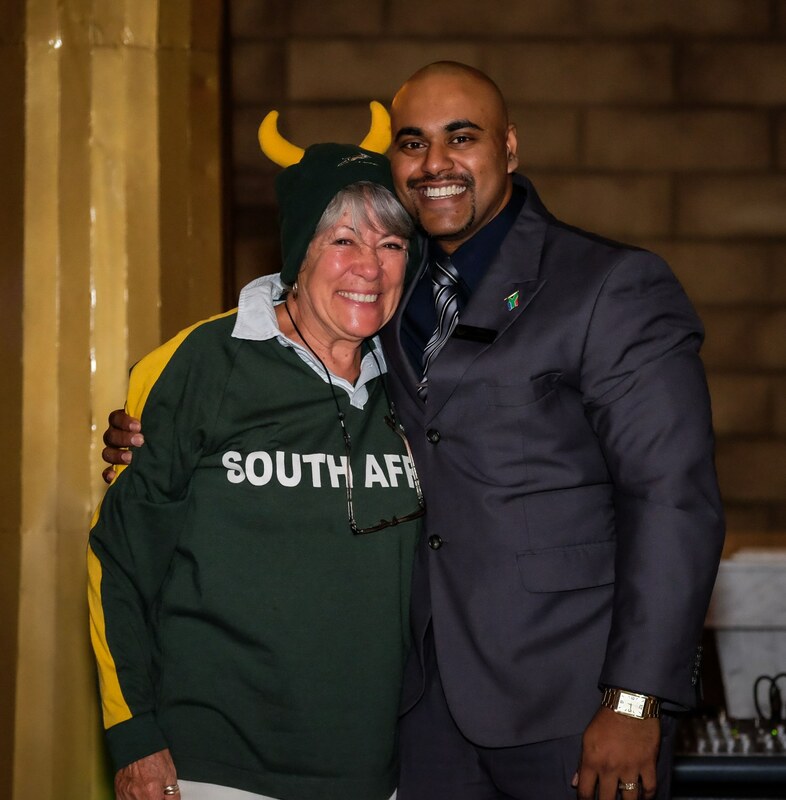 We’re looking forward to welcoming potential Roulette Knockout champions to Montecasino and wish every one of them the best of luck!” adds Joseph. For more information go to www.montecasino.co.za, join us on Facebook at www.facebook.com/montecasino or follow us on Twitter at @MontecasinoZA. Try you luck and all the very best! Capitec Bank, headline sponsor of The Color Run in South Africa, has announced that it will add even more colour to the festivities in Johannesburg on 20th September this year. To spread happiness throughout the city, well-known local artist Crystal Birch has been commissioned to create a giant, colourful Macau parrot at the entrance to the Neighbourgoods Market in, Braamfontein. Jozi residents have been eagerly awaiting the ‘happiest 5km on the planet’, which will take place from Roosevelt High School near Emmarentia Dam. The Color Run is an un-timed race in which thousands of participants, or ‘Color Runners’, are doused from head to toe in different colours at each kilometre. 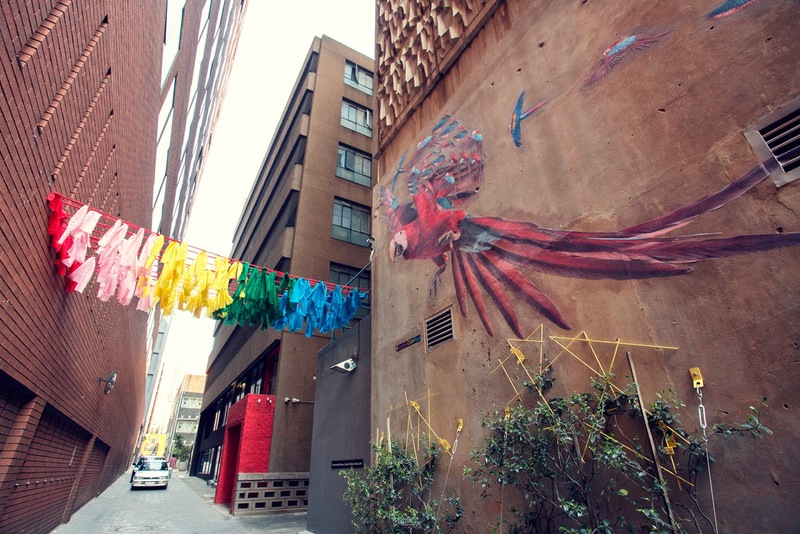 He says that, to add a fun element and bring some colour to a grey space in Johannesburg, Birch will create a series of small Macau Parrots, using a style called ‘wheat paste,’ leading you to the entrance of the market where the large parrot will be revealed. 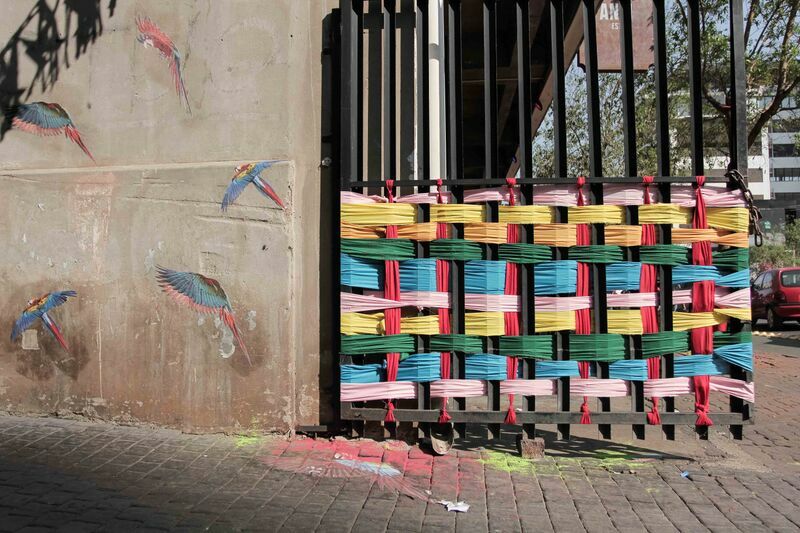 One wing of the parrot will arch across the archway, across to the opposite wall in colourful strips of colour. Birch started working on her installation on 8th September and completed it on the 11th September. Throughout both weeks, Jozi residents were invited to talk about and share the artwork and its progress on social media using the hashtag #CapitecColorRun. Tickets for The Color Run are available online at www.thecolorrun.co.za and on Facebook. Individual ticket prices are R245 and R220 for groups of four or more. 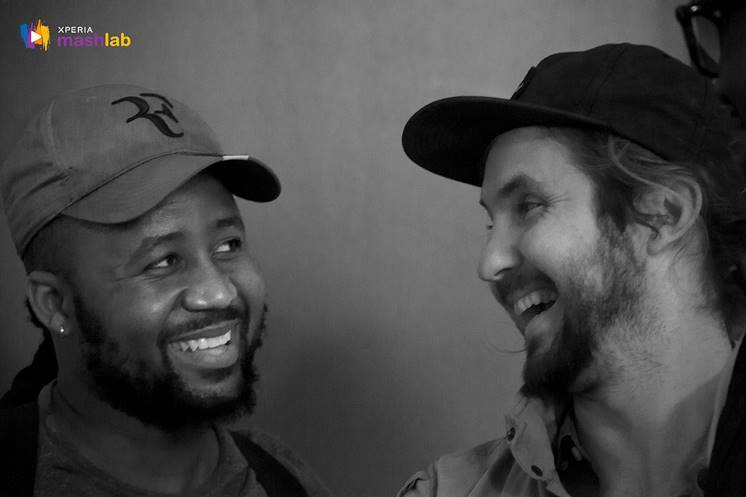 Following the announcement of the fourth instalment of Xperia Mashlab, Sony Mobile is thrilled to reveal that the collaborative masterpiece with modern folk musical maestro Jeremy Loops and the multi-award winning South African hip-hop artist Cassper Nyovest has come to life. Set for release on the 5FM Forbes & Fix Show, this exclusive track was inspired by the ups and downs of touring and being on the road - away from family and friends. The song bounces between the cathartic highs and epic lows that come along with fan-filled stadiums and the absolute reality of what it takes to be a musician. “The uniqueness of being part of something like Xperia Mashlab is that we both wanted to the song to be something fresh and true without it sounding like a Jeremy Loops song that has Cassper in the background or a Cassper Nyovest track with Jeremy singing over it,” said Loops. “Our goal was to ensure there was proper synergy and the track would be seamless when people choose to listen,” Loops concluded. Once available, the track will be exclusively available for download through Xperia Lounge, an app available for you to download on Google Play through your Android™ smartphone or tablet running version 2.3 or later. For owners of Sony’s flagship Z3 series devices, the Xperia MashLab tracks will also be available in High Resolution Audio, letting consumers hear the tracks as the musicians hear it in studio. For all Xperia Mashlab updates and information, go to www.mashlabmusic.com, or follow Xperia Mashlab on 5fm on Facebook, check the @XperiaMashlab twitter page and #XperiaMashlab hashtag, as well as the @xperia_mashlab Instagram page. You can sign up to the newsletter to keep up to date on all things Xperia Mashlab. September is the first day of the Spring here in South Africa and I was eagerly waiting for some of the invites that I received to attend the launch events by some of the great brands. 1. Mercedes-Benz Bokeh International Fashion Film Festival @ Johannesburg, South Africa - http://www.thelifesway.com/2014/09/mercedes-benz-bokeh-international.html - This was an awesome launch event for the first fashion film festival and I really enjoyed the grandness of the whole launch. There were awesome Mercedes-Benz cars as well as great models and some flying machines too. The movies that were part of the first part was also creative and worthy of being the winners. Check this post! 2. Hello Joburg Magazine Launch @HRCJohannesburg - 17 Sep 2014 - http://www.thelifesway.com/2014/09/hello-joburg-magazine-launch.html - Hello Joburg magazine launched their updated edition as well as the app in this event at Hard Rock Cafe in Johannesburg. I made some new friends at the launch with whom it was my first friendship anniversary yesterday. I still remember the awesome night of fun and laughter at the event. 3. I am #TGSavvy, Are you? - http://www.thelifesway.com/2014/09/i-am-tgsavvy-are-you.html - Bloggers events are always fun as you get to meet another ones in the trade and learn a lot from them. Tech Girl took us through some of the lessons she learned and it was a great morning spent at learning skills of the trade. I have applied some of the tips of the trade and got amazing success with the same. 4. Many Movie Reviews - I did posted a lot of movie reviews and loved some of the movies like - Magic in the Moonlight, The Equalizer, Fed Up and Snowpiercer. Do watch them if you haven't till now. 5. Disney Infinity 2.0 - MARVEL Super Heroes - http://www.thelifesway.com/2014/09/disney-infiniti-20-marvel-super-heroes.html - Disney Infinity 2.0 was the upcoming game around that time and this season it's version 3.0 already in the market. I really loved the version 2.0 and now enjoying the Star Wars version 3.0. Looking forward to have a great time this season too! My blog has made it's impact since the last year and I have crossed 577134 pageviews till today! I am really thankful to all the brands for sponsoring me in all these events. Photography is something that you can always learn at whatever age group you are and now with capable smartphones which are even better than point and shoot cameras you can take it further. Learning from the best of the trade is always a great option and various social media channels enables us to always keep on the lookout for who is the best in the industry. Tegan Smith (Tegan Smith Photography) is a professional fashion photographer and blogger from Cape Town, who enjoys taking pictures with her HTC smartphone. Here are a few apps and functions that she recommends will help you to shoot and edit smartphone photos that can compete with professional pictures. Cameras on selected HTC devices - such as the HTC One M9 - include an awesome bokeh feature. Bokeh is the lovely blurred effect produced by the way a camera lens renders out-of-focus points of light. It’s a cool aesthetic feature that can make your photos look like they were shot by a pro. I have not tried this one but will definitely as soon as I lay my hands on the latest smartphone M9 from HTC. Use the Split Capture mode on the HTC One M9 to capture a selfie and the scenery in front of you as photos or videos. You can use the main and front cameras to capture both photos and videos at the same time, or you can take them separately. This is an awesome feature to capture both sides of a street. Do join the photography community by sharing your pictures and learn from the best in the trade.